As we reach the end of March, the snow is gradually melting away, and the racing season in the North East gets nearer. Pre-season activities are already taking place and the 2019 schedules are being released. 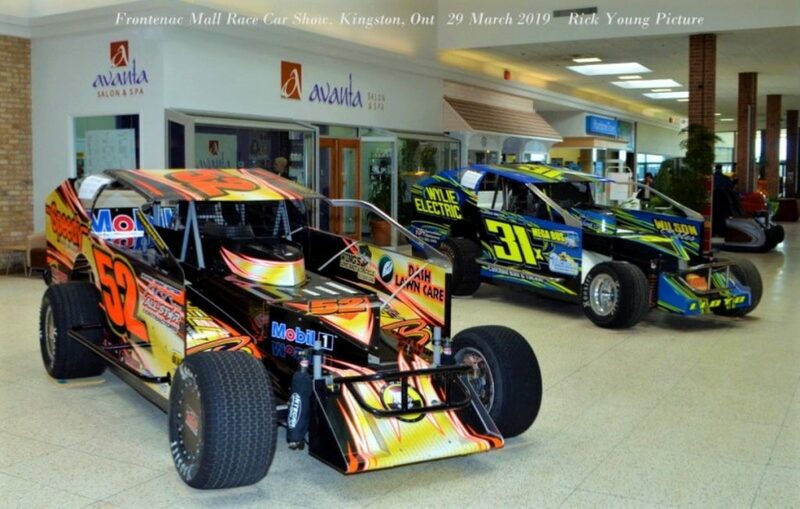 On Friday and Saturday (29/30 March), the annual Frontenac Mall Race Car Show was taking place in Kingston and I made my usual trip down there on Friday , accompanied by Cornwall race fan , George Harland. 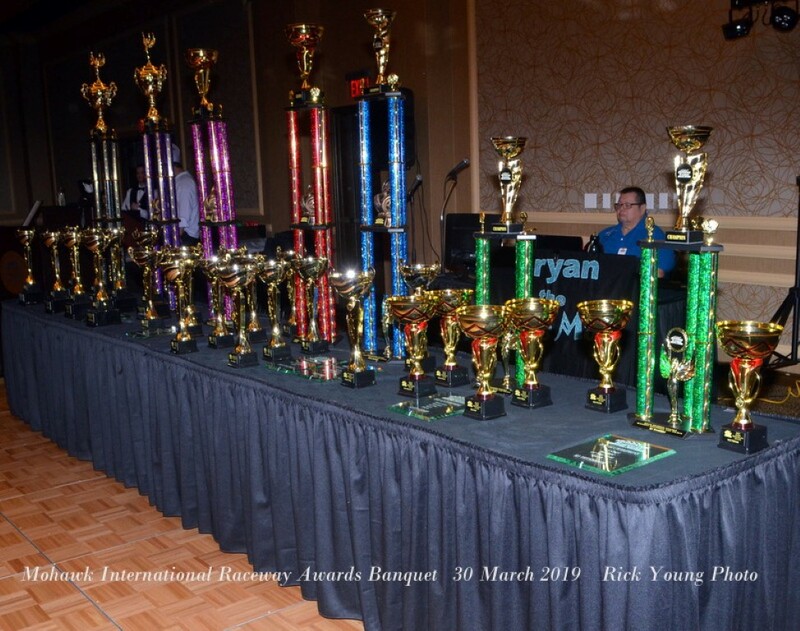 The show has been running for many years and is organized by Ed Palmer. Ed was the first person I met when I entered the Mall, who kindly walked around with me, removing the “Do Not Touch” labels so I could get better pictures. 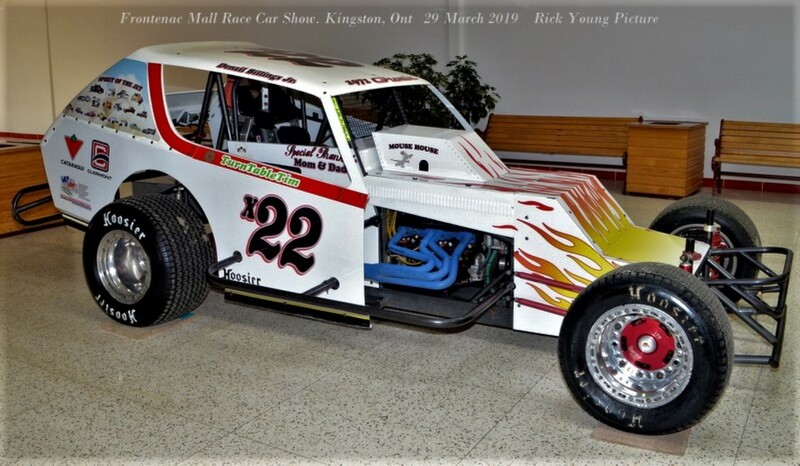 Over the years, most of the exhibits have been race cars from the Brighton and Brockville Ontario Speedways, but occasionally there are cars representing other tracks. 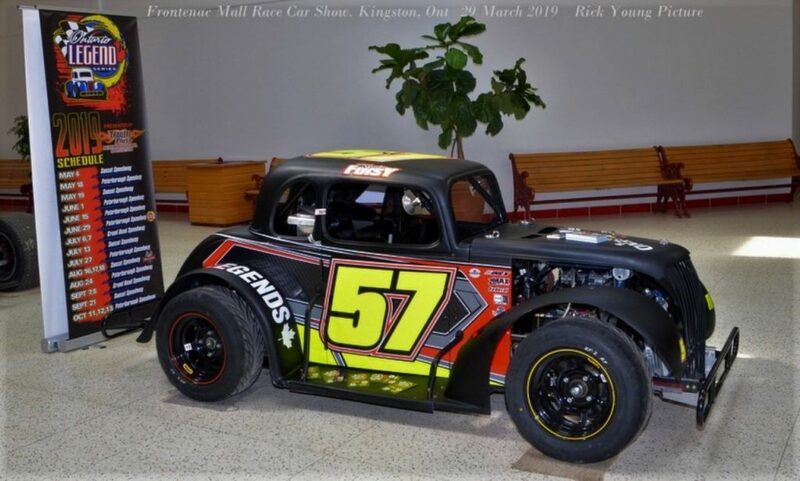 This year my friend Kevin Foisey had his Legend Car on display promoting the Ontario Legends. 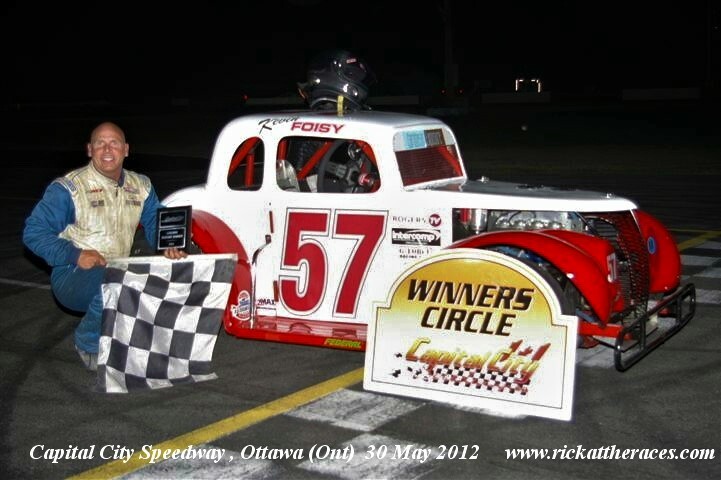 Kevin was a regular winner in the days I was track photographer at Ottawa’s Capital City Speedway, and I’ve also seen him race at the Orlando Speedworld in Florida. 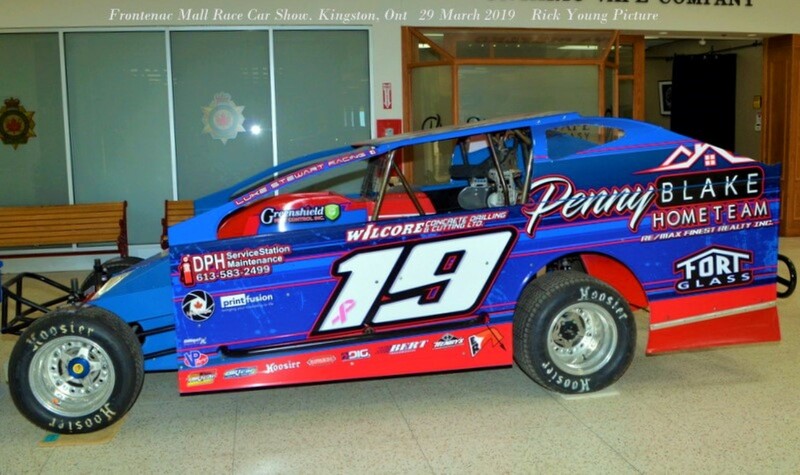 When the Capital City Speedway closed down, Carleton Place, based Kevin, became a regular at the Peterborough Speedway. 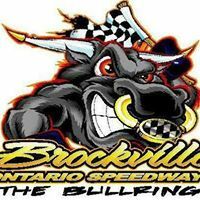 The Brockville Ontario Speedway had a few of their regular Modifieds on show, and Brighton had a couple of their Late Models. 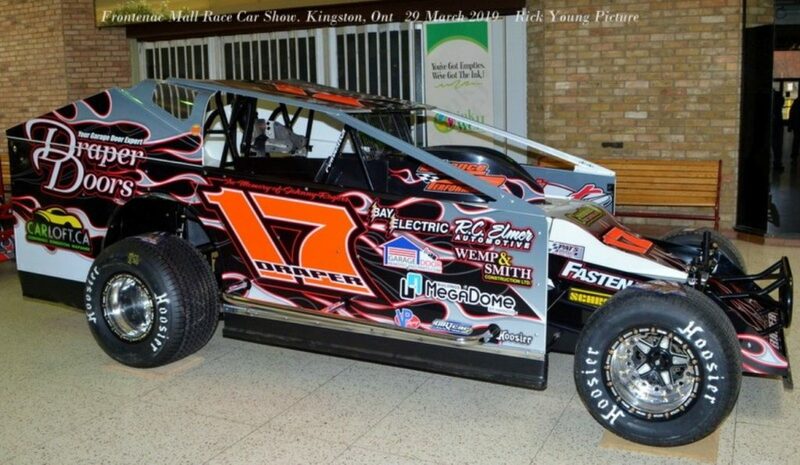 All the Dirt racing cars were immaculate in their new wraps, with my particular favorite, being one of the two, Tristan Draper cars. We chatted with Brockville promoter Paul Kirkland before making our exit , and heading back to Cornwall. 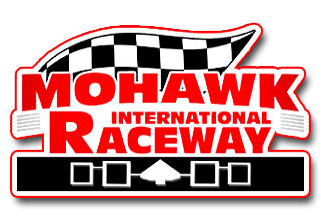 On Saturday evening it was the Mohawk International Raceways annual Banquet and Awards night, at the Akwesasne Mohawk Casino. 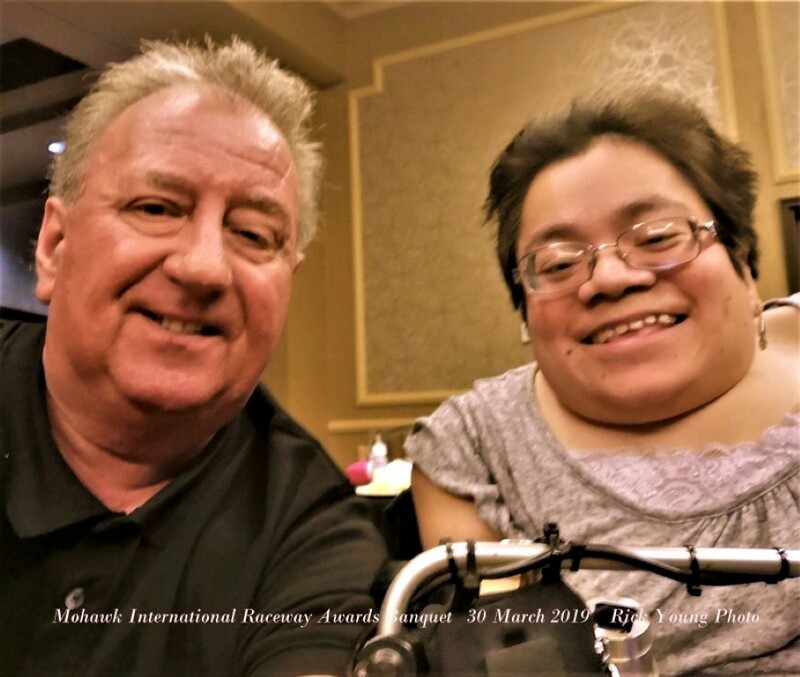 The sit down meal was scheduled for 5-00 pm , so I crossed over the International Bridge around mid afternoon, to do a bit of shopping in Massena NY, before heading there. On arrival, I was honored to be told, I was on table #1 along with photographer Hilary Jacobs, and announcers Tim Baltz and Brian Page. 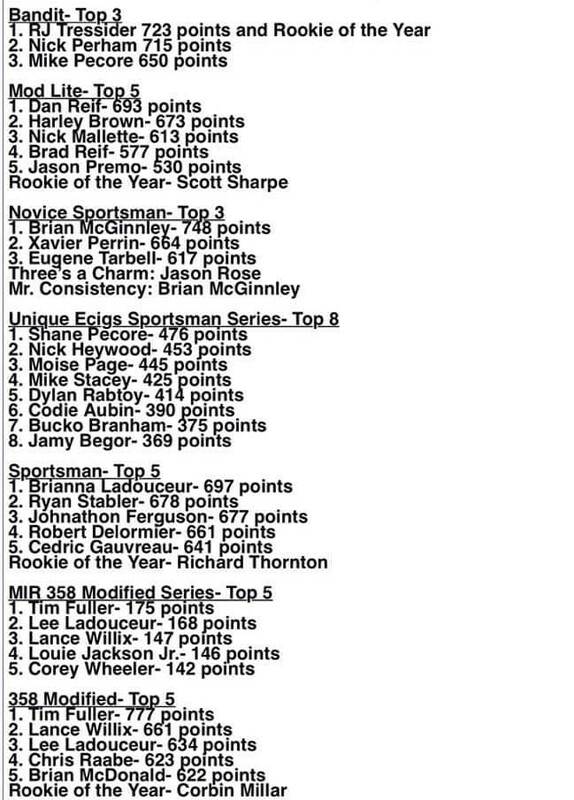 Also on our table, was Johnathan Ferguson and his Sportsman Team. The delicious meal got things under way, and once that was done, the presentations began. There were many awards to be given out, so Hilary and myself positioned ourselves in a good spot to get our shots. The recipients posed with promoter Don Don Thompson. 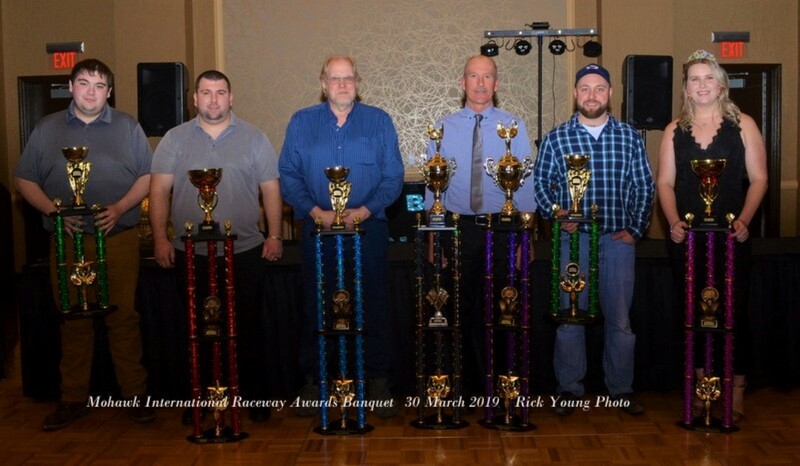 Big winner of the night was Tim Fuller, who not only won the Modified Track Championship, but the M.I.R Modified Series too. 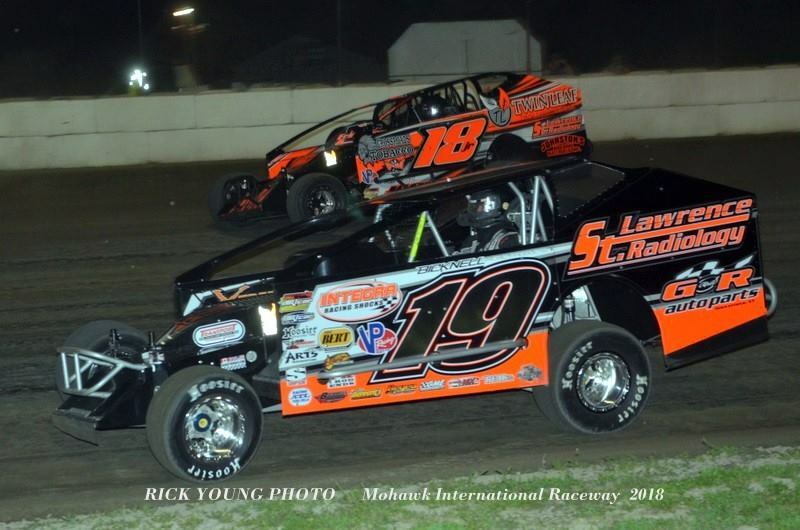 Tim made history in 2018 by winning 10 of the weekly Features. 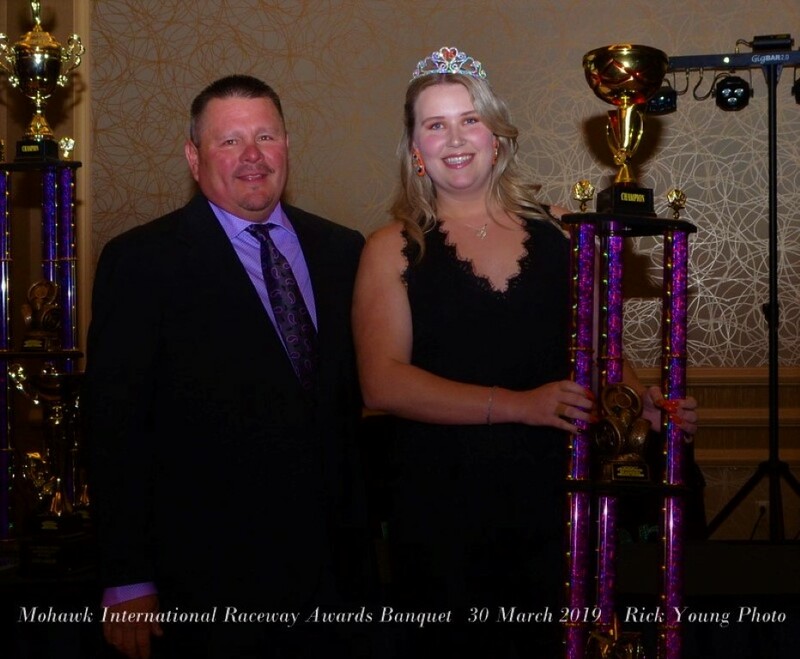 The final award of the night was for the Mitch Jock memorial award given to the most sportsman like driver. 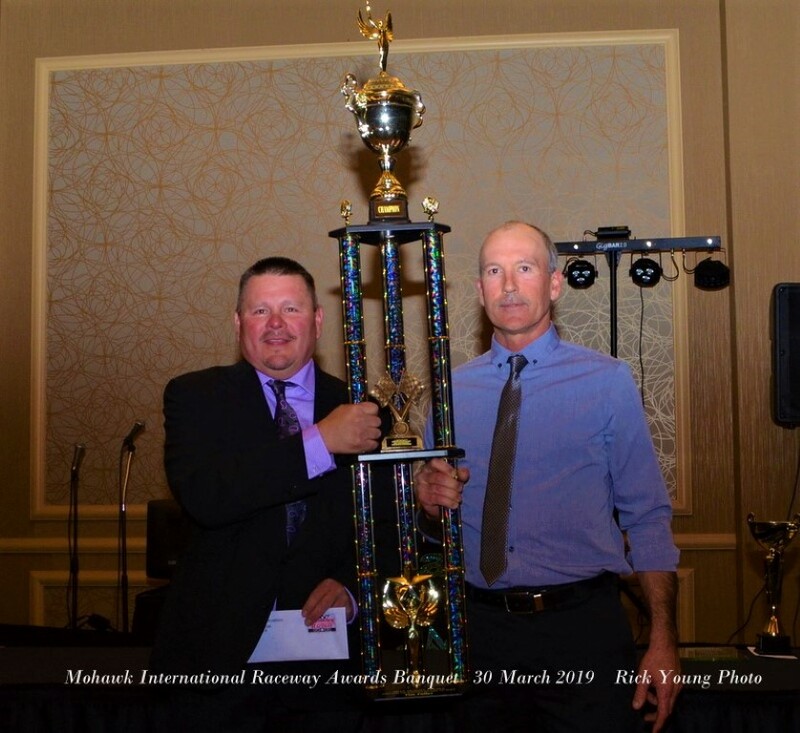 This award which has been given out by the David family, is now called the Mitch Jock and Junior David memorial, in honor of Junior who recently passed away. The well deserved winner was Ryan Stabler. The awards were over by 7-30 pm , I was feeling a bit tired, so I didn’t stay for the partying. I was soon back over the bridge, and home. After a good nights sleep, I was out of bed in good time on Sunday morning to watch the 11-00 am live TV broadcast , of the F1 Grand Prix from Bahrain. This turned out to be a good race, full of drama. Pole sitter was youngster Charles Leclerc in a Ferrari, who looked good for the win. After dropping back to third place after a bad start, he soon got back to the front , and built up a huge lead. He looked all set for his first ever win. Unfortunately with less than ten laps to go, he had engine problems and lost power. He then had to nurse it slowly to the end as he was gradually getting overtaken by the second and third placed cars. Then two of the Renaults went out, causing the Safety car on to the track. With only three laps remaining , the race ended that way, with Leclerc salvaging a podium place behind the two Mercedes of Lewis Hamilton (winner) and Valtteri Bottas. This was a really entertaining race, and so much different than the one seen two weeks ago in Australia. 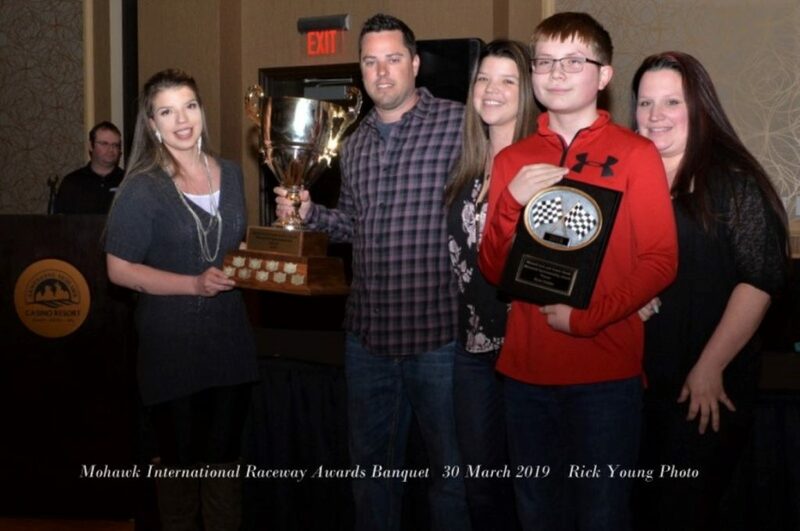 That ended my week , with the Brockville Ontario Awards Night coming up in a few days.